The same issue with higher/lower cost special education students applies to English learners as well. Districts/schools with more beginners would require more resources to adequately serve those students than places with a higher proportion of advanced students. It would be great to know if charter schools enroll as many beginners (levels 1-2) as intermediate/advanced ESL students (levels 3-4). This would certainly explain differences in EL performance as well. JJ: "One of my more tenacious commenters keeps trying to make the case that the reason charters don't enroll as many special needs students is that they declassify special education students at higher rates than public schools." I'm not aware of anyone who has asserted that as a full, inevitable, invariable explanation. As you know, a study of Boston schools showed students attending charter schools attaining English proficiency far faster than their counterparts in district schools and, not surprisingly, charter school LEP declassification was much quicker. The degree to which that may also be true in New Jersey seems worth careful examination, but I'm not at all clear how well your state's public data permits you to assess that. Can you determine LEP rates at initial enrollment? The degree to which such rates vary from grade to grade among a particular cohort? 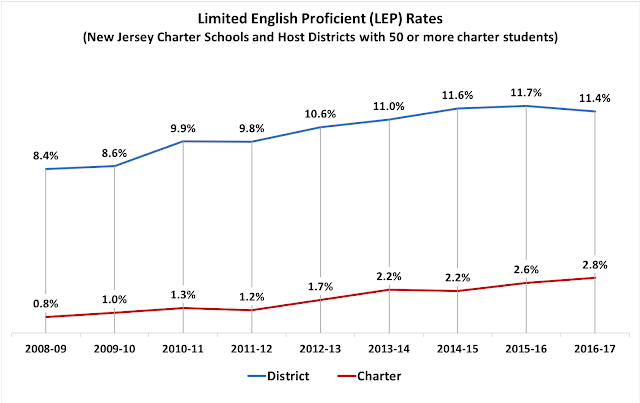 Is it possible to compare ELL/FLNE ratios between district and charter schools in NJ? I don't know. But meanwhile, I don't contest the plausibility of additional or alternative contributors, such as NJ charters historically locating more frequently in predominantly low-income, African-American neighborhoods relative to locales with large Hispanic populations. 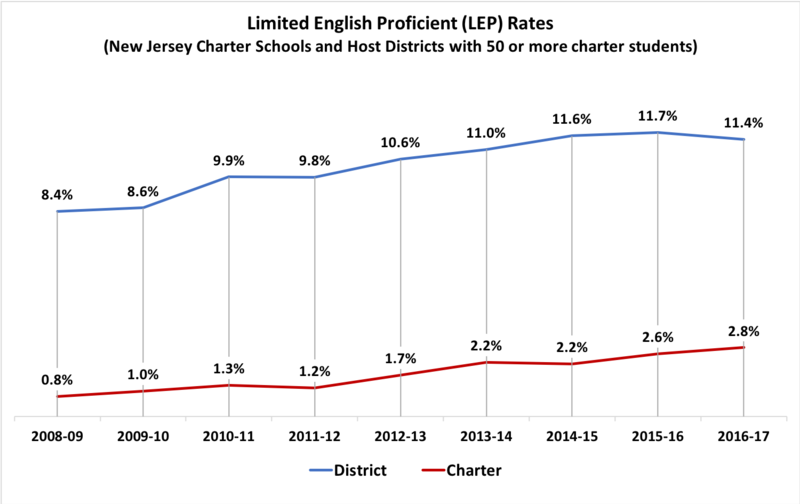 JJ: "As with special education classification rates, the data here show that the charter sector could be enrolling more LEP students. But why doesn't it?" 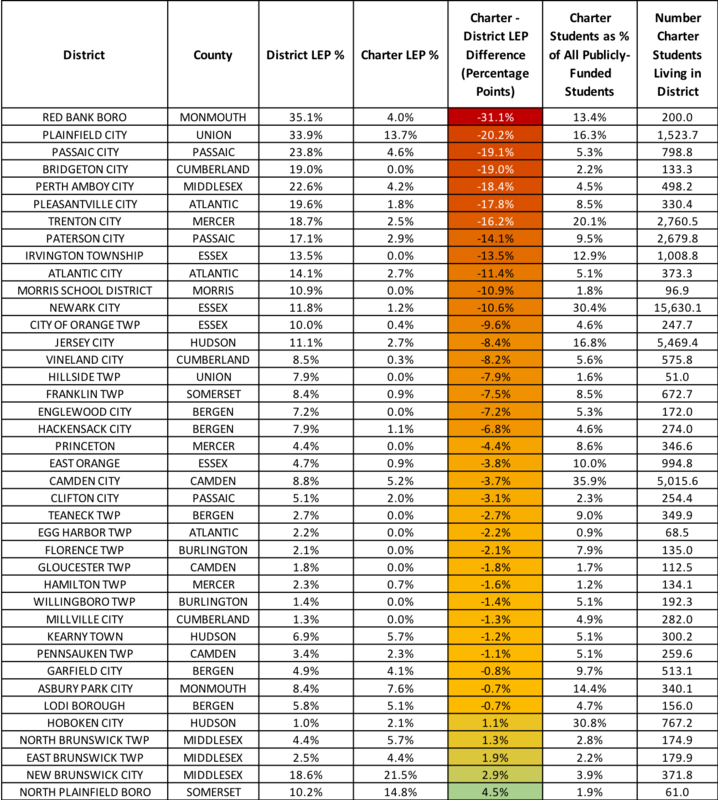 Here in Massachusetts, key to increasing ELL enrollment was the education reform effort reflected in the 2010 "Act Relative to the Achievement Gap". That required that recruitment and retention plans of charter schools must include "a detailed description of deliberate, specific strategies the charter school shall use to attract, enroll and retain a student population that, when compared to students in similar grades in schools from which the charter school shall enroll students, contains a comparable or greater percentage of special education students or students who are limited English-proficient of similar language proficiency as measured by the Massachusetts English Proficiency Assessment examination [...] If a school is or shall be located in a district with 10 per cent or more of limited English-proficient students, the recruitment strategies shall include a variety of outreach efforts in the most prevalent languages of the district. The recruitment and retention plan shall be updated each year to account for changes in both district and charter school enrollment." 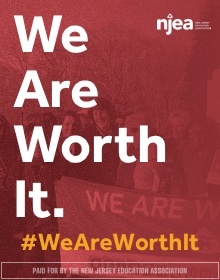 "(g) To ensure that a commonwealth charter school shall fulfill its obligations under its recruitment and retention plan, the school district or districts from which the commonwealth charter school is expected to enroll students shall annually provide, at the request of a commonwealth charter school, to a third party mail house authorized by the department, the addresses for all students in the district eligible to enroll in the school, unless a student’s parent or guardian requests that the district withhold that student’s information; provided, however, that the department may require the charter school to send the mailing in the most prevalent languages of the district or districts that the charter school is authorized to serve." This legislation was written by Marty Walz, then a state legislator, now working for the charter school industry. She claimed that in order to increase enrollement of ELL and SPED kids, the charters needed more effective recruitment tools. The change in the law allowed charters to harvest student information from the public schools. Parents must opt OUT of the collection of their child's information to the charters, and the public schools must use their resources to submit the data. 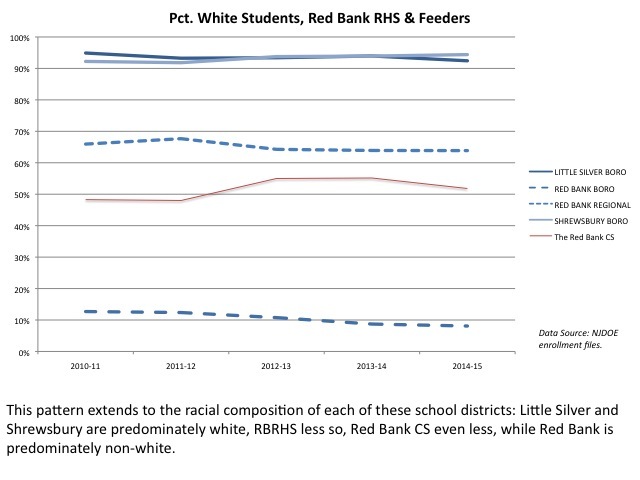 Nonetheless, our charters still way underserve these populations, eight years later.